Porsche's investment in the firm Gapless will help users log and track data related to their vintage Porsches. In recent years Porsche's scope of investment has broadened significantly; a reflection on the changing nature of the automotive industry. The brand's increased investment in electrification tracks rather neatly to their current efforts to bring new vehicles to market. Electrification is not the only field Porsche is expanding in to, however. Earlier this month the brand announced an $80m investment in the Swiss firm WayRay, which is just the first of several new investments in start-ups for the brand. Porsche Ventures, the brand's investment arm, seeks to enhance access to new technologies and business models through strategic investment. 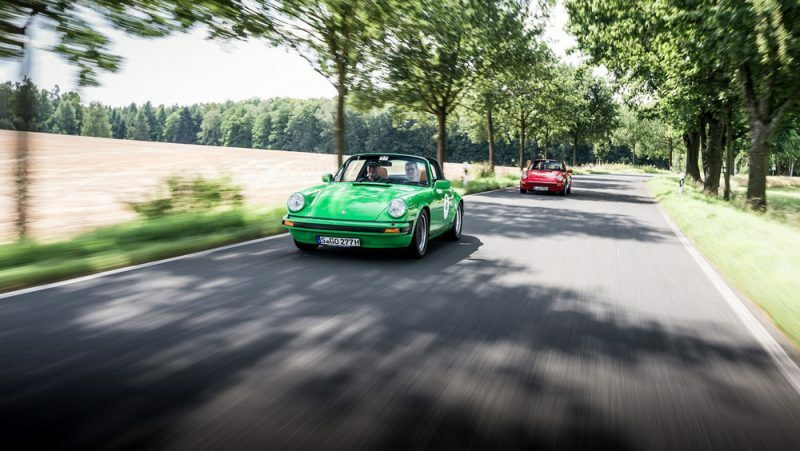 Over the next five years Porsche increased the brand's venture activities by EUR 150 million.The current focus is on start-ups dealing with customer experience, mobility, the digital lifestyle. Future technologies such as artificial intelligence and augmented reality, are also on the company radar. Among the first companies highlighted in Porsche's interest in start-ups is the German firm Gapless. Gapless utilizes blockchain technology to help clients digitally manage their vintage vehicles. Users can log their complete vehicle history in a secure way to prevent forgery. This secure tool is designed to maintain or increase the value collector vehicles by maintaining a consistent data trail. This small startup currently has a staff of nine, and is in the foundation stage. As far as I can tell, Gapless doesn't even have a website at press time (and they are not to be confused with the German dental firm, Gapless GmbH). At this stage Porsche has not noted further uses for the blockchain technology as it relates to vintage cars. TEND, who we've featured previously, is using Blockchain technology to share ownership of a 356 between users. Porsche themselves have a car sharing program which is active overseas. Per Deputy Chairman, and Member of the Executive Board for Finance and IT, Lutz Meschke; "To continue building on the success that we have enjoyed over the past few years, we must fundamentally change our business model. Porsche has always been among the pioneers of the automotive industry. To date, innovation has been driven to a large degree by technology and with strong links to our current core competencies. In some cases, the changes that are now becoming necessary are linked to topics beyond our main fields of expertise. With this in mind, it is essential that we build a strong ecosystem with competent partners"